We are pleased to announce the successful projects funded from the Productivity Projects Fund in Round 1. 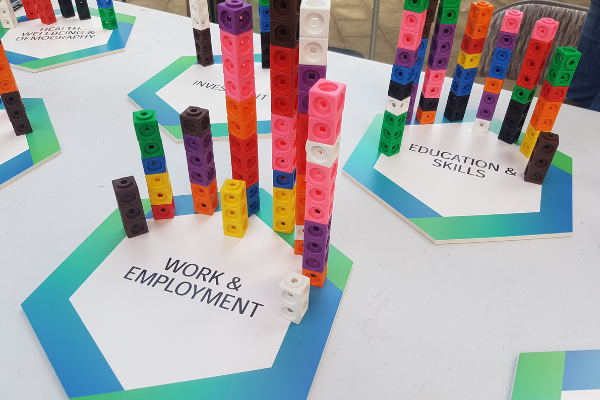 The ‘#pieceofthepuzzle’ campaign challenged teams of academic and non-academic partners to take a multi-disciplinary social science approach in finding fresh insights into the UK’s productivity puzzle. Applicants were encouraged to draw on the PIN evidence reviews, which highlight gaps in our current understanding of UK productivity. An overwhelming response was received to the call and the PIN team want to thank all of the multidisciplinary teams that applied for the work that they put in. The award panel was greatly impressed by the quality project proposals received. Four ‘Pioneer Projects’ were funded up to £50,000 each and eight ‘Small Projects’ were funded up to £10,000 each. Projects start work in September 2018. Pioneer Projects will take around ten months to complete and Small Projects, four months. See below for details of the successful multi-disciplinary projects and what they aim to achieve. •Professor Duncan Maclennan (University of Glasgow) will lead an mulit-disciplinary team attempting to provide a new approach to addressing how housing outcomes impact on productivity. The study has the potential to offer a better conversation about productivity and a new narrative for housing policies. 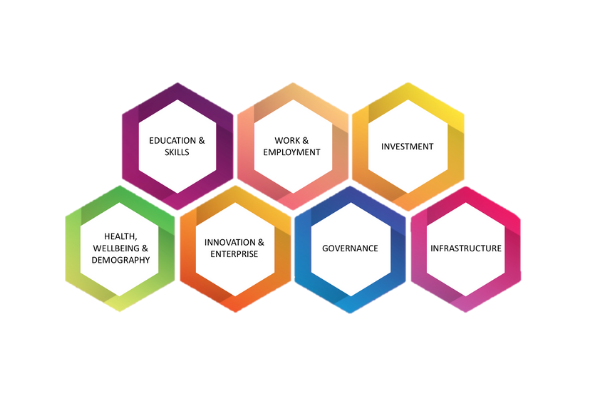 •Dr Cath Sleeman’s (Nesta) team will be working on a novel approach to measuring skills mismatch using online job advert data, skills supply data from the UK’s Labour Force Survey and a skills taxonomy developed in previous research. •Alex Beard (CFE)will lead a small project looking to advance our understanding of the relationship between non-cognitive skills and productivity. 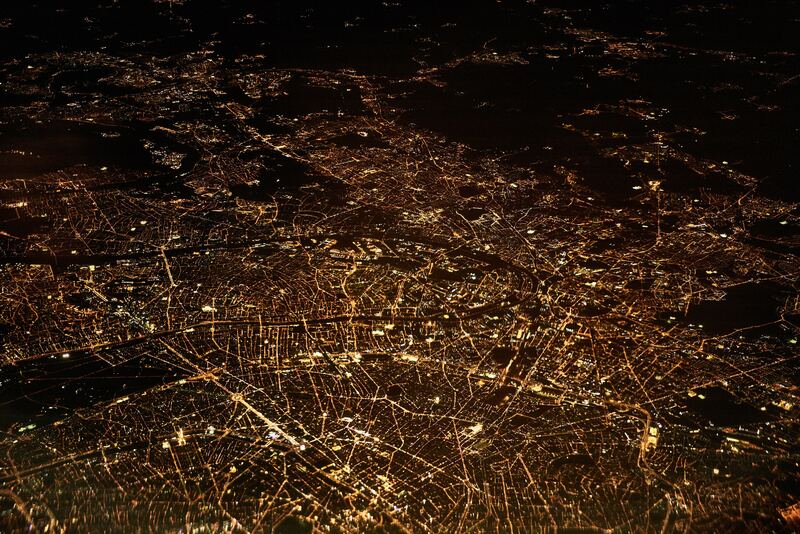 •Dr Tom Forth (ODI Leeds) leads the project “Real Journey Time -Real City Size” which aims to make novel use of open data to estimate the productivity in the UK’s large cities that is sacrificed by poor transport infrastructure. •Professor Sara Cantillon (Glasgow Caledonian University) leads the project “The Divergence of Productivity and Pay?” which will deliver an empirical analysis of the links between pay, pay inequality, economic growth and productivity. •Professor Matthew Gorton (Newcastle University) leads a team looking at to what extent regional productivity differences are a result of structural issues or whether after controlling for profile variables, does the productivity of firms in the Northern Powerhouse, Midlands Engine and rural locations continue to lag the Rest of England and urban areas. •Professor Anne Green (University of Birmingham) and her project team will be working on “The UK Futures Programme: a longer-term evaluation”. It will inform policy on the ‘hooks’ which are effective in engaging businesses in productivity, which interventions enhance productivity and the sustainability of different approaches. 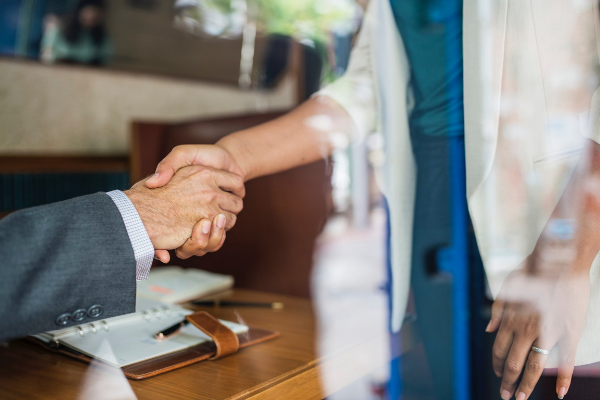 •Dr Wendy Martin (Brunel University) will be leading a small research project which aims to co-design innovative solutions to enhance the wellbeing of the workforce in SMEs. •Professor Martin Spring (University of Lancaster) leads a study examining the links between the measures that drive management decision and action in SMEs, and the productivity outcomes that result, cutting across various themes identified in the Evidence Reviews. •Dr Rob Wapshott (University of Sheffield) will be leading an multidisciplinary team with the Advanced Manufacturing Research Centre (AMRC) in their project “Advanced Manufacturing Management”, exploring the realisation of productivity through effective talent management in high-value advanced-manufacturing SMEs. Thank you again to all who applied. We look forward to keeping you updated on progress of the both the Pioneer and Small Projects as they strive to find their own #pieceofthepuzzle. Policies to foster jobs, innovation and productivity typically set SMEs and start-ups centre stage. This is not surprising. On average, SMEs account for about 70 % of jobs and 50-60 % of value-added in the OECD area (OECD 2017). 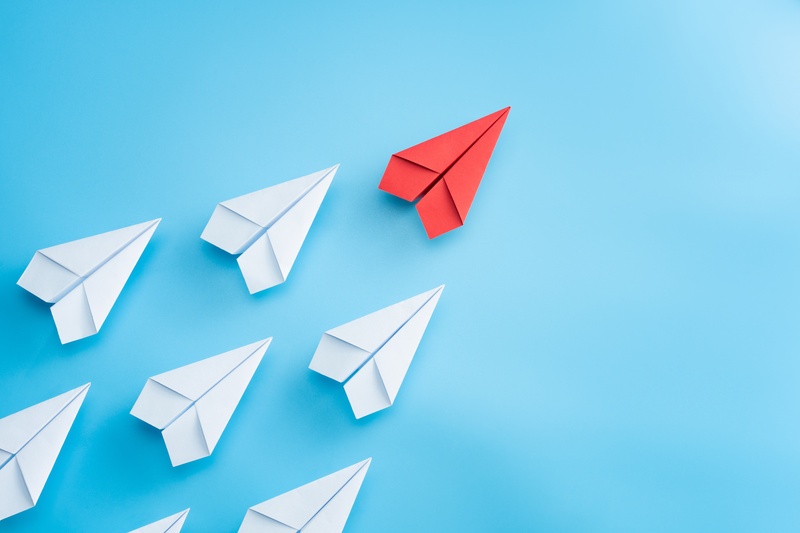 Young firms and start-ups are also shown to create a significant fraction of new jobs and they often play an important role in driving innovation and experimentation with new technology and business models. Accordingly, SMEs and start-ups are often the main policy targets. Promoting SMEs to grow and scale-up and stimulating new entrepreneurial and innovative firms are high on the policy agenda in virtually every OECD country. But even if SMEs and startups are a main policy target, it is important to avoid a too one-sided focus. The fact that young firms and startups are the most important in terms of e.g. direct net job creation, does not mean that other firms are unimportant. For example, the entrepreneurs that start and run these firms come from somewhere and may have gained their managerial skills, business knowledge or ideas while working in a large firm. Likewise, the local presence of established firms, such as Multinational Enterprises (MNEs), may be critical for SMEs to find people with the business experience or the knowledge of foreign markets that they need in order to expand and scale-up. Furthermore, many established large firms may be important customers for smaller firms as well as young firms. SMEs and startups do not emerge or operate in isolation but are part of an interacting system that includes large established firms. 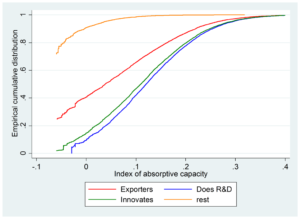 The industrial dynamics that drives innovation and productivity is in fact characterized by a significant interplay between large firms and new entrants as well as SMEs. As a case in point, we have analyzed the question of where new firms that survive and grow come from in the case of Sweden. This is an issue of importance because new firms are highly heterogeneous and most firms exit shortly after they are founded or do not grow. Still, the positive effects of startups on the economy appear to be largely attributable to new firms that survive and grow. 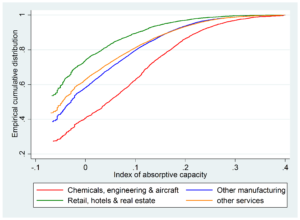 Knowledge of from where such firms come helps our understanding of the relevant contextual factors in new firm formation that drive jobs and productivity. Our findings suggest that in Sweden, large established firms, in particular MNEs, are an important source of new successful firms. Furthermore, the dynamics of this process typically play out at the local level. 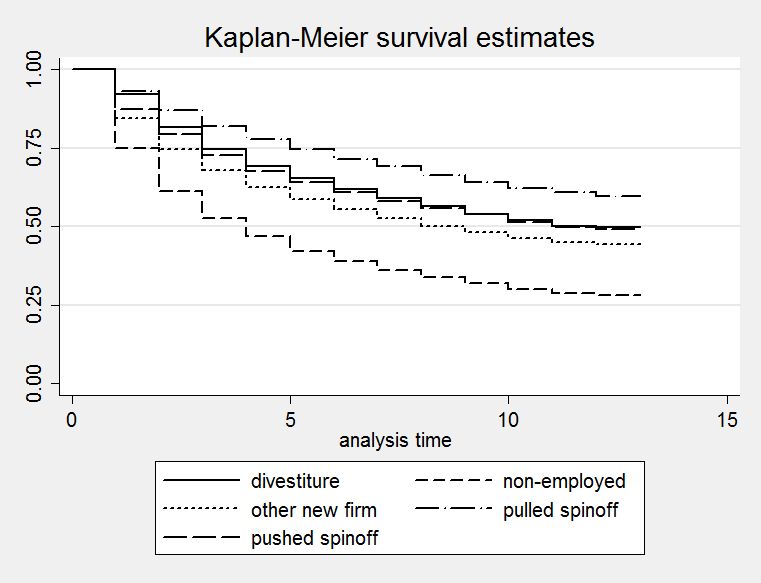 First, we document substantial differences in survival across types of new firms. The figure below distinguishes between five types of new firms. Spinoffs are new firms where the majority of employees come from the same parent firm. If the parent exited in the same year as the spin-off, the spin-off is classified as a pushed spin-off; otherwise it is classified as a pulled spin-off. Non-employed are new firms created by people that were unemployed prior starting their firm. Divestitures are large new firms assumed to be reorganizations of activities that previously took place at an incumbent firm. Other new firms is a residual category. Source: Andersson and Klepper (2013). What is clear from the figure is that pulled spinoffs systematically outperform all other types of new firms in terms of survival and that the pulled spin-offs stand out as the best performers; firms with all employees previously unemployed stand out as the worst performers; with pushed spin-offs and divestitures performing somewhat better than other new firms. Divestitures aside, spinoffs show the highest survival rates among all types of new firms. 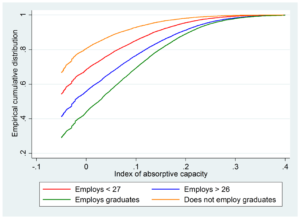 Second, our econometric analyses further show that even after controlling for several characteristics of new firms, such as initial size, human capital, industry, we find that spinoffs still show significantly higher survival rates as well as employment growth. Another result is that spinoffs with large parents and that are MNEs also perform better, which may reflect the fact that MNEs in general have richer tangible and intangible resources that founders of spin-offs can draw upon. In summary, our results for Sweden are highly supportive for the argument that “incumbent firms are natural training grounds for the next generation of entrepreneurs” (Klepper 2011, p. 145) and that “the breeding grounds for entrepreneurial firms are more likely to be other entrepreneurial firms” (Gompers et al. 2005, p. 612). The data we used in these analyses also illustrate that the spinoff process is highly localized in space. The table below presents data on the fraction (in percent) of spinoffs in Sweden during the period 1993–2005 that locate in the same municipality and region as the parent firm. The original data are based on 15,103 spinoffs with two or more initial employees. Fraction of spinoffs locating in the same municipality or region as the parent firm. As much as 72 percent of the spinoffs during the period located in the same municipality as the parent firm, and another 16 percent remained in the same labor market region although not in the same municipality. Thus, 88 percent of the spinoffs located in the same “home region” as the parent firm. Taken together, these results suggest an important relationship between existing firms and business dynamics through entrepreneurship. Much empirical evidence speaks in favor of the argument that large resourceful firms, such as MNEs, may play a significant role in the local eco-system of entrepreneurship for example by (involuntarily) acting as “anchor-firms” that accumulate and train human capital in a region. Policies aiming to foster local productivity and job creation should recognize the indirect role that established firms play in the entrepreneurship process. 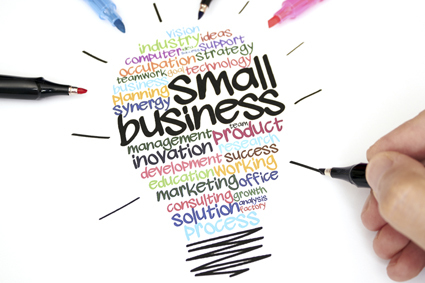 A too narrow focus on SMEs alone misses much of what is crucial. Shovel ready, but for what? Whenever economic setbacks occur, from the closure of a small town manufacturing plant to an event on the scale of the Global Economic Crisis, the clarion call for more infrastructure investment to help stimulate recovery can be heard almost immediately. Business leaders inevitably announce that there is an “urgent need” for investment in whatever projects are deemed “shovel ready”, and politicians keen to have ribbons to cut are usually only too happy to oblige, budget permitting of course. The snag is that the evidence base on the links between infrastructure investment and the economy is inconclusive, and it is far from clear how spending money on infrastructure actually improves economic performance in the real world. Whilst macroeconomic reviews claim links between the overall quantum of investment with growth at country level, finding evidence in the real economy, in real places and in real firms about the causal links that explain how such investment promotes better economic performance – by enhancing productivity for example – is usually much more difficult. Indeed, the last major independent review carried out for the UK government on the impacts of transport infrastructure on economic performance, that by the former Chief Executive of British Airways Sir Rod Eddington, set out quite unambiguously that in advanced industrialised countries with mature infrastructure systems, the potential for subsequent investment to achieve the often exaggerated claims for economic stimulus is much less than is commonly assumed. Yet the a priori belief that infrastructure investment will lead to improvements in economic performance remains resilient. Consider the ways in which the High Speed 2 railway project is being sold to an often sceptical public; that it will ‘rebalance’ the economy between north and south. Leaving aside the rather obvious yet often wilfully ignored point that transport infrastructure is – sometimes literally – a two way street, and that economic activity can move in both directions as relative accessibility changes, the idea that any single project, however large, can make a substantive impact on an annual GDP shortfall measured in the tens of billions is fantastical. Much of the same wishful thinking can be discerned in the claims made for the criticality of high speed broadband: very high download speeds might help your choice of evening entertainment on Netflix download more quickly, but for many if not most businesses, a good enough speed to facilitate a website and/or electronic payments coupled with dependable service reliability is what is required. Then there is the issue of whether we can measure the impacts of infrastructure investment properly in the first place. For decades, most of the value released by transport infrastructure improvements has been assumed to derive from improvements in travel times, underpinned by the assumption that travel time is completely lost to productive activity. Major schemes with substantial pricetags, and hence significant opportunity costs given the competition for scare public funds, have often been justified on the basis of some really quite small time savings, the impacts of which we don’t fully understand. For example, if a rail commuting journey is reduced from one hour to 45 minutes, how do the people that use the service every day react? Does that 15 minute saving translate into more work at the office and therefore more economic output for the economy? Does it make them more likely to be able to maintain their commute over the long term so that the labour market works more efficiently? Or do they just stay in bed 15 minutes longer in the morning? And even if they do just that, does their wellbeing improve enough as a result to make discernible differences to their health, so that they work more productively when in the office? The transformation of the travel experience by the almost universal adoption of the smart phone, so that people can either work whilst mobile or spend the time satisfying more social needs to keep in touch with others, adds a whole other dimension to the complex debate on travel time that researchers are actively exploring. 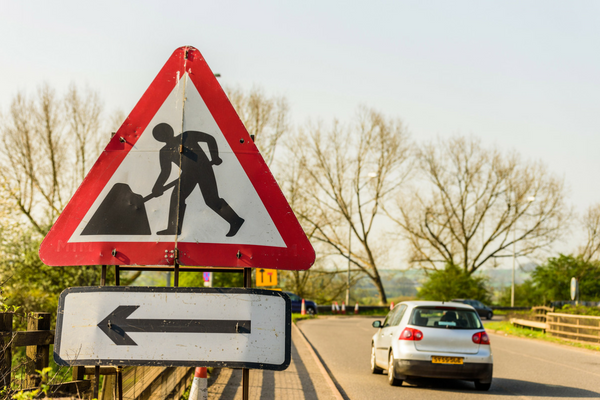 So, what should policy makers do when considering the role of infrastructure investment as part of government’s toolkit to improve the economy? The most important thing is perhaps to acknowledge openly the high level of uncertainty about the causal mechanisms linking infrastructure investment such that a range of options for action is thought through carefully. It is entirely possible for a coherent case for infrastructure investment, including the very largest schemes, to be constructed so long as proper efforts are made to understand its actual impacts in the places it occurs and on the people and firms it is supposed to support. So the next time the call for the shovels to be readied rings out, the question should be “yes, but for what purpose?”. Delivering productivity the Labour way…? The Financing Investment report published by Labour on 20th June set out how the opposition would approach the conundrum that is the productivity puzzle in the UK. The persistence of sluggish productivity growth since the financial crisis is not going away, but is the answer in setting the Bank of England a productivity target? Raising productivity growth is a priority of all political parties, not least because productivity is a proxy for wage-incomes and ultimately standards of living. Therefore, while a productivity growth target is admirable, it is questionable whether this should this be required of the Bank of England let alone whether it can it ever work. Moreover, in the last four decades the highly ambitious three percent annual target has never been achieved before, and is significantly above the 0.2% per year increase seen over the last decade which has left the UK c.20% below the pre-crisis productivity growth trend. The rationale for Labour’s proposal is the perceived failure of the UK financial system that has fueled speculation in the property market at the cost of investment in other tradable technologies and sectors. This is a well-rehearsed argument. 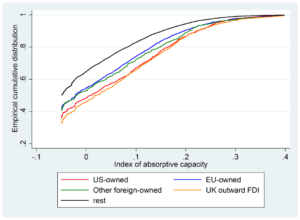 While access to capital for growth has been highlighted as a critical issue experienced by UK firms, in the aftermath of the 2008 crisis, access to low cost labour may also have contributed to the propensity for firms to prioritise employment over the propensity to invest even though the costs of borrowing have been extremely low. The Bank of England Governor, Mark Carney, has previously expressed concern over assuming responsibility for productivity in addition to the primary target of keeping inflation at 2 per cent. The elephant in the room is whether the Bank of England, regardless of the 3% goal, is actually genuinely able to influence productivity growth in this way. Using monetary policy instruments to stimulate investment is premised on the expectation that the monetary authorities can incentivize banks to lend and firms to innovate or invest in innovations to yield productivity gains. Yet, the evidence here is mixed, to say the least, and runs the risk of confusing and conflating different sets of objectives, at least in the minds of the public and politicians. Productivity is driven by innovation and entrepreneurship and it is not in any way clear how the monetary authorities can influence these, other than maintaining stable prices and inflation expectations so that firms, investors and entrepreneurs are able to plan effectively. 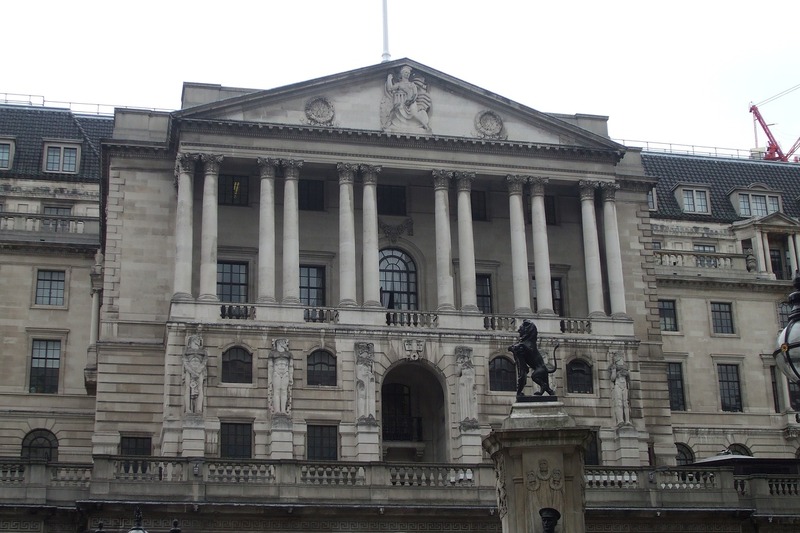 Moreover, assigning a productivity growth objective to the Bank of England then largely absolves the other economy ministries dealing with regulatory issues, competition policy, research and innovation, infrastructure, land use, the coordination of different investment policy arenas etc., from their own responsibilities. On one hand the fresh thinking in these proposals is to be welcomed, while on the other hand the proposals from Labour raise many additional questions. Given the already over-centralised and top-down system of governance in the UK, the prospect that the productivity growth is managed by the central bank is somewhat ironic – even if Labour are proposing it move to Birmingham! 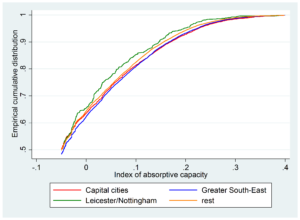 Given the highly regional nature of the productivity puzzle in the UK, policy needs to be more sensitive to local needs and tough institutional and governance questions need to be asked. Despite the shortcomings of successive Governments to jumpstart productivity growth, the Industrial Strategy with its emphasis on place represents a welcome focus. However, whether or not this will provide the basis to address the structural weaknesses that are manifest in the long tail of low productivity firms and the enormous interregional productivity differences remains the subject of ongoing debate.